In 1792 the area was turned into the Place de la Bastille with only traces of the fortress that had once dominated the area remaining. In 1793, a fountain was built in the square. Known as the “Fountain of Regeneration”, it had an Egyptian-inspired design and depicted a woman with water flowing from her breasts. 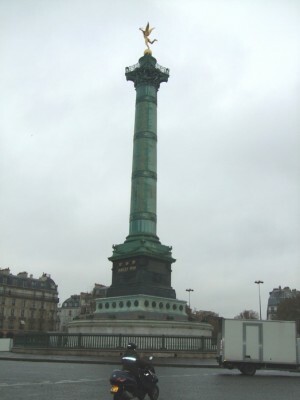 In 1808 Napoleon planned many urban regeneration projects for Paris and was particularly fond of monuments to his victories. 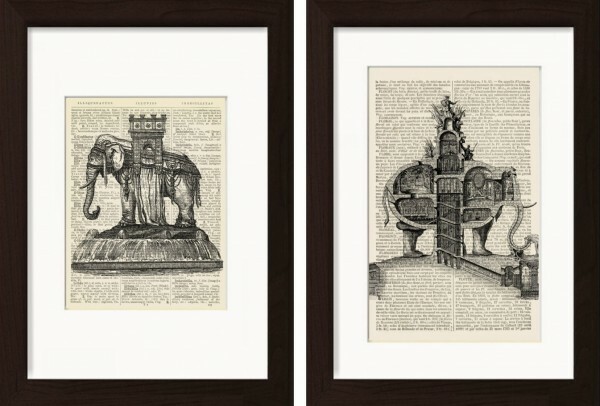 He wanted to create a significant triumphal structure to demonstrate his military prowess and began the process of designing a 24 m (78 ft) bronze elephant. 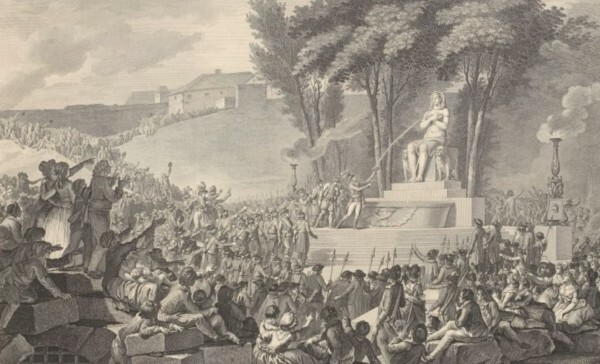 In the Imperial decree of 24 February 1811, he specified that the colossal bronze elephant be cast from the guns captured at the Battle of Friedland. A stairway would allow visitors to ascend one of the elephant’s legs to an observation platform on its back. Work began in 1810 on the ground works, with the vaults, underground pipes and the main pool completed by 1812. 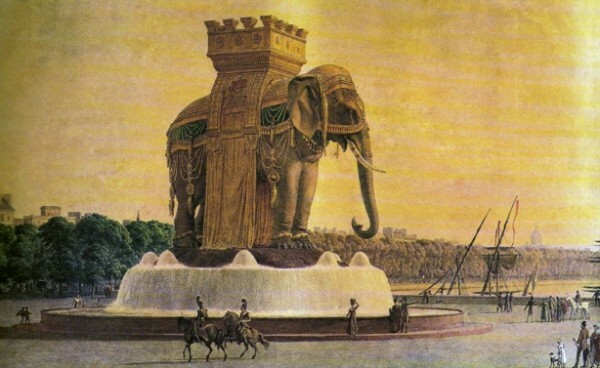 Realising the need to show how the finished work would look, a full-size model using plaster over a wooden frame was built at the site of the Bastille and completed in 1814, the model was protected by a guard named Levasseur who lived in one of the elephant’s legs. The model itself became a recognisable construction and was immortalised by Victor Hugo who lived in nearby in Place des Vosges in his novel Les Misérables (1862) in which it is used as a shelter by the street urchin Gavroche. 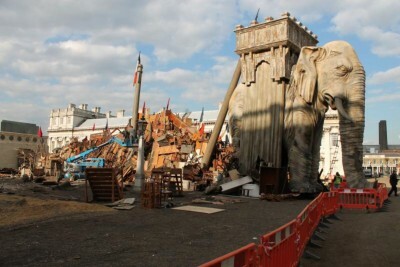 The Elephant of the Bastille construction work stopped in 1815 after the defeat of Napoleon at the Battle of Waterloo. Nearby residents began to complain that rats were inhabiting the elephant and searching for food in their homes, petitioning for demolition from the late 1820s. The model elephant was not removed until 1846 by which time it showed considerable wear. 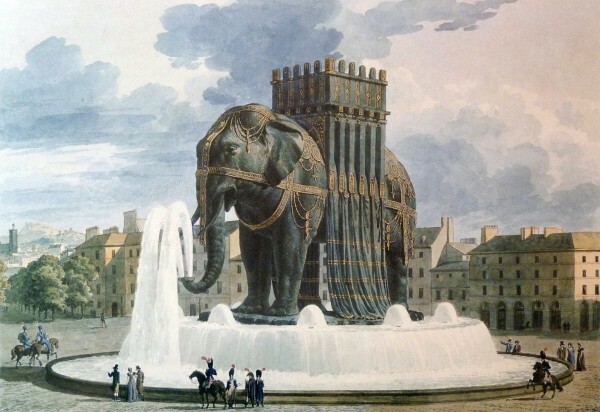 and although part of the original construction remains, the elephant itself was replaced a few years later by the July Column (1835-40) constructed on the same spot. One can only wonder if Napoleon was aware of the architect Charles Ribart’s 1758 plans. He planned an addition to the Champs-Élysées in Paris, to be constructed where the Arc de Triomphe now stands. 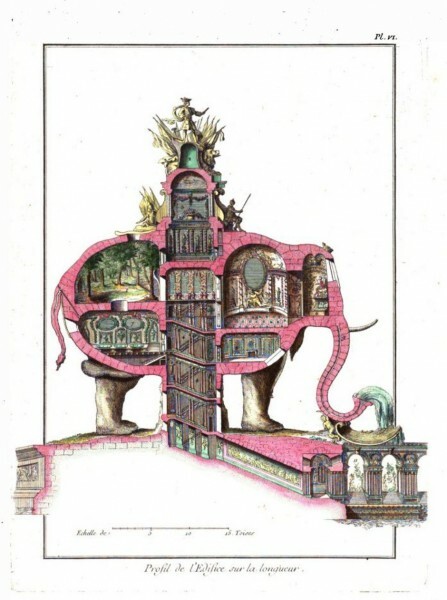 It consisted of three levels, to be built in the shape of an elephant, with entry via a spiral staircase in the underbelly. The building was to have a form of air conditioning, and furniture that folded into the walls. A drainage system was to be incorporated into the elephant’s trunk. The French Government, however, was not amused and turned him down. Little of his work now survives.